We would like to bring to your attention the Zoroastrian Studies Program at Stanford University. Stanford is one of the most prestigious universities in North America, ranked in the top 5 by U.S. News and World Report. For the last eight years along with Stanford, we have had a community effort led by Farrokh Billimoria of Redwood City, California to help create and sustain a program on Zoroastrian Studies at Stanford. What started out as a lecture series between 2005 and 2009 is now a Lectureship with 4 courses offered during each academic year. The current faculty is Dr. Yuhan Sohrab-Dinshaw Vevaina (Ph.D., Harvard University) who has been a fulltime faculty for Zoroastrian studies at Stanford University since winter quarter of 2010-2011. We as a community have sustained this program by major contributions from individuals in India, Hong Kong, FEZANA and contributions from various North American Associations and personal contributions from many North American Zoroastrians. We are extremely happy that Dr. Vevaina is a fantastic teacher; his reviews at Stanford from his colleagues and his students are at the top of the review scale. Students love and enjoy his courses, and through him a lot of students at Stanford at both the undergraduate and graduate levels have been introduced to Zoroastrianism. He has taught 8 distinct courses related to Zoroastrianism, Ancient Iran, or Parsis in the four plus years he has been at Stanford which represents the broadest and most diversified teaching curriculum for Zoroastrian Studies. In addition, he has taught 18 independent studies (1-on-1 designer courses) to undergraduate and graduate students, including Parsi and Iranian students. One of his former undergraduates has just been accepted to do a Ph.D. in Late Antique Iranian History at The University of Chicago. In addition to his teaching, Dr. Vevaina has recently published as a co-editor with Michael Stausberg, The Wiley Blackwell Companion to Zoroastrianism (2015), which is the largest single volume reference work on Zoroastrianism ever published with articles by 30 plus world authorities from 10 countries totaling almost 700 pages. Dr. Vevaina presented the FEZANA, Jungalwala Lecture at the 16th North American Zarathushti Congress in New York in 2012, the topic was: “Thinking with Zoroastrianism in the 21st Century” and he spoke at the 10th World Zoroastrian Congress in Mumbai in Dec. 2013 where his topic was: “Can You Recommend a Good Book? Studying Zoroastrianism in the 21st Century.” He also spoke at The 17th North American Zoroastrian Congress in Los Angeles in Dec. 2014 where his theme was “Wisdom from the Ancients in the Age of the Moderns.” In addition, he has spoken to Zoroastrian communities at centers in San Jose, Houston, Westminster, CA, Mumbai, and London. This undergraduate and graduate teaching program is jointly funded by the community and Stanford University. Stanford is bearing 34% of the program costs. After 2 generous donations, we are still $15,000 short. FEZANA has committed $5,000/yr., which leaves us with a shortfall of $10,000/yr. At the last FEZANA AGM in Valley Forge, PA, FEZANA enthusiastically voted to support the program for another three years with a contribution of $5000/yr., and a number of Associations present also showed a willingness to individually support the program. We would like every FEZANA member Association to contribute $1,000/yr. for the next three years so that we can continue this program. We will also look for a major donor who can sustain this program perpetually and have their name associated with the program. The idea would be to have eventually a named, chaired professorship in Zoroastrian Studies. 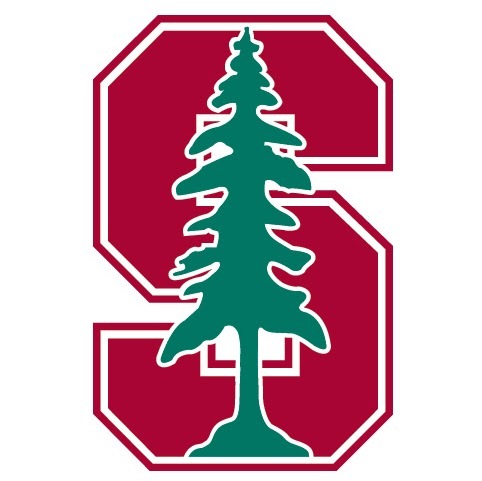 We would like to hear from you on your Association’s contribution as soon as possible (latest by September 30, 2015), since there is urgency with regard to Stanford deciding to continue the program for the next three years.